Kanwal Pattar inherited her passion for food from her mother while growing up in the Punjab region of India. She went on to learn how to blend delicate spices in cookery school, before moving to England in 1978. Since then Kanwal has run numerous workshops and courses teaching the traditional ways to cook Indian dishes, sharing her own recipes with her students. In the 1990's she also presented a cookery show on Indian Sky channel Namaste. In 2014 Kanwal decided to establish her own range of artisan food products – and so Hibiscus Lily was born. With Indian-inspired cuisine at its heart, Kanwal's range of delicious chutneys, relishes, jellies, luxury fudge and spiced nuts are all produced by hand in leafy Hertfordshire. With a passion for only using traditional methods and natural ingredients without the use of additives or artificial preservatives, the Hibiscus Lily range is truly authentic. Indeed almost all of the products are flavoured with home-grown herbs and freshly ground spices, with all of the fabulous chutneys and relishes made using only the finest of local ingredients. For those indulgent moments Hibiscus Lily's wonderful range of fudge offers completely unique flavour combinations, from Cardamom and Coffee to Pistachio and Rose, whilst the fruit jellies make the perfect accompaniment to both hot and cold meats, cakes, cookies and ice-cream. In keeping with a healthy philosophy every product is made and set using naturally unrefined sugar – the way quality food should be! 'Hibiscus Lily' - made with love, produced with pride, eaten with joy. 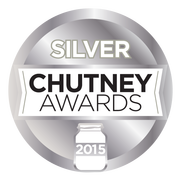 We make fabulous chutneys and relishes using traditional methods without the use of additives or artificial preservatives and we use our own recipes, some of which have been passed down for generations. Our finest ingredients are sourced locally as well as from reliable sources. Our chutneys liven up any dinner table and complement fine cheeses, cold meats and hot meats and make a perfect ingredient in cooking, baking, salad dressing and marina﻿des. Our sugar free and fat free relishes are full of flavour and taste. 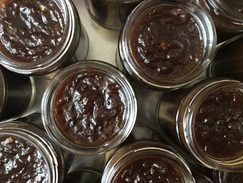 The range includes hot and savoury jams and marmalades, such as sweet chilli and hot chilli jam and caramelised red onion marmalade. All fruit jellies set naturally using unrefined sugar make a perfect accompaniment to cold and hot meats, a glaze for poultry or meat, an ice-cream topper or a filling for pastries, cakes and cookies. A new take on Jelly: Lime and Tamarind, Hibiscus and Pomegranate, Fruity Hibiscus Tea (contains Indian Assam Tea) and Apple, Lemon and Mint Jellies also make a refreshing drink. 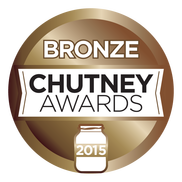 For more information check our information cards on using chutneys and jelly’s. For more information check our information cards on using chutneys and jellies. We make luxury creamy fudge that melts in your mouth. We use the finest ingredients and natural flavourings and make fudge in small batches using traditional methods. All twelve flavours on offer vary slightly in texture to represent the nature of unusual combinations, such as Almond and Cardamom, Rose and Pistachio, Chai Latte, Chocolatey Cardamom and Coffee, Red Velvet, Spiced Ginger, Spiced Apricot and Mango. Our dried nuts are coated with freshly ground spices, lemon juice, orange juice, olive oil and honey and roasted in the oven for a crispy coating. They make the perfect snack. Customised Granola bars are made to order to include your preference of oats, nuts and seeds, fats (butter, coconut oil), sugars, food supplements. Hibiscus Lily products make ideal corporate gifts, wedding favours and special occasion gifts for family and friends. Please check our ﻿website ﻿and facebook page for up to date information on our markets, festivals and events.